February can be an awkward, even bewildering, time for sports fans. Winter begins with college football hype and the end of the NFL regular season. January brings an endless string of bowl games, then the NFL playoffs. Then the two-week hype building up to the Super Bowl. The day after The Big Game can feel like a letdown. My sons are into hockey, and my youngest likes the NBA (we aren't sure where he gets this), so those are the sports that grace the TV in my house now. As for me, this is the time I turn my attention to men's college basketball, as the conference tournaments approach, and then NCAA March Madness. I didn't know anything about March Madness until my first job in DC. (The basketball team at my college was not a contender.) The employees where I worked had a pool, and I filled out my first bracket, using the USA Today team analysis as a guide, then clutched it, highlighter in hand, while watching all the games on the first and second days of the tournament. Well, the late games, after work. This was long ago, in the Mesozoic era before the internet, when we had to call George Michael's Sports Machine hotline to get the latest scores. 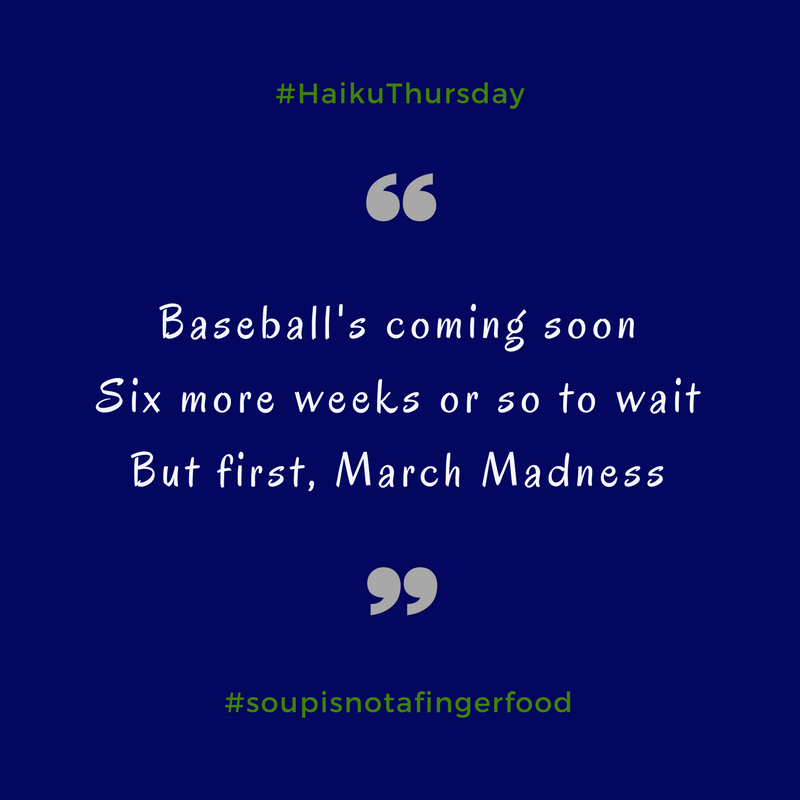 Posted on February 16, 2017 October 10, 2017 by MegPosted in Current Affairs, Games, haiku, sportsTagged February, haiku, sports.